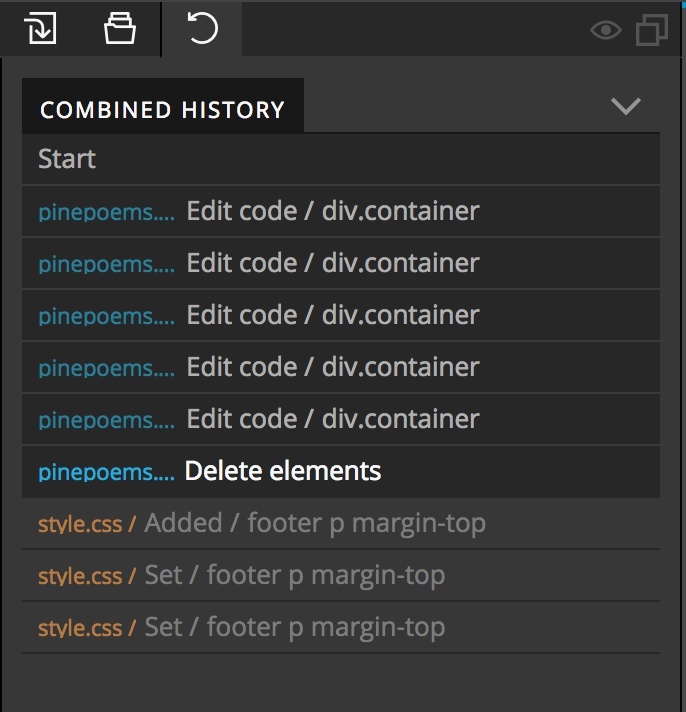 History panel lets you move back and forward through HTML and CSS edits. By default, History panel shows the combined history for all pages and stylesheets. This mode is very convenient to use, but it doesn’t let you perform undo and redo operations just on a selected page. For example, to undo operations on page A, you also have to undo any subsequent operations on page B. 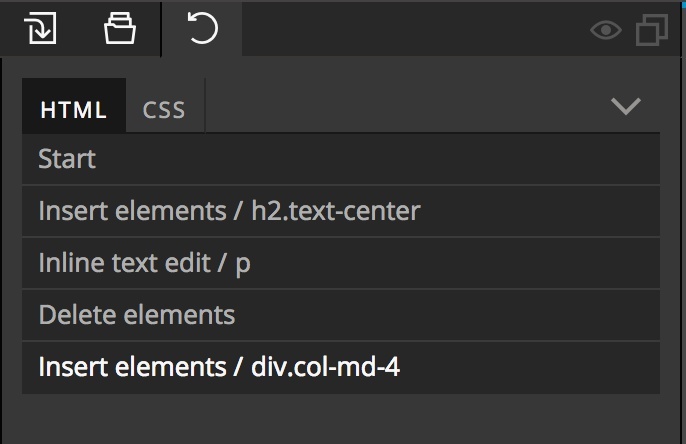 Use options icon to separate history tracks for every page and one for all stylesheets. In this mode the panel has two tabs: the HTML tab with history of the current page and the CSS tab with the global history of all CSS edits. The drawback of this mode is that you have to manually switch between HTML and CSS tabs in the History panel, depending on what you want to undo or redo. Z to Undo the last step. Z to Redo the last step. Click on any step in History panel to restore that state.